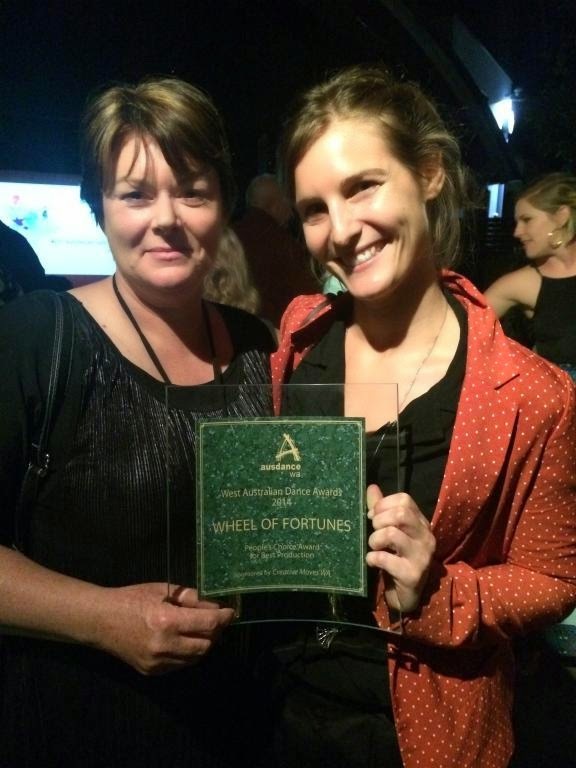 Last year's amazing community dance collaboration, "Wheel of Fortunes" picked up the People's Choice Award at the Ausdance WA West Australian Dance Awards last week. 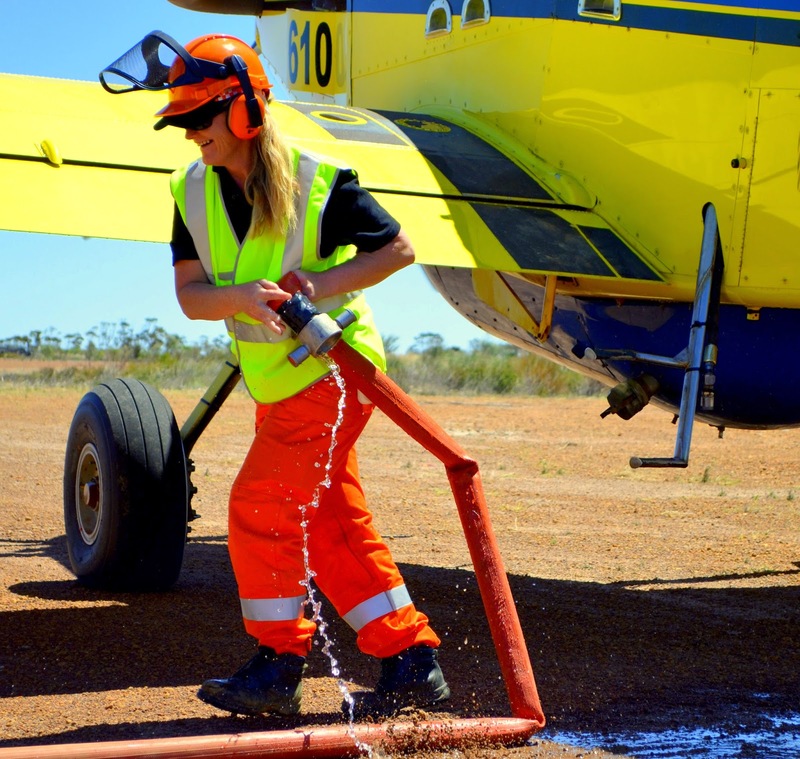 The project was the largest and most complex that the RRAC has taken on to date and was part of the Ausdance WA Future Landings 2013 project coordinated by Annette Carmichael and also including community dance projects in Broome and Karratha. Wheel of Fortunes involved writer Nicola le Breton, choreographer Aimee Smith and Film Maker Amber Perryman working with people across the Shire of Ravensthorpe throughout the year in developing a large scale work that reflected the mining, agricultural, environmental and personal history of the region. The project culminated in two performances in the Jerdacuttup Wheatbin followed by a community dinner and celebration in the Jerdacuttup Hall. RRAC Chairperson and Wheel of Fortunes Project Coordinator with Choreographer Aimee Smith at the Ausdance WA Awards night. 2014 has been an exceptionally busy year for the Ravensthorpe Regional Arts Council. The antics began on February 8 at a well-attended AGM, held at the Jerdacuttup Hall and premiering the 2013 Wheel of Fortunes documentary put together by the talented Amber Perryman. From then on it was a chaotic spin into the first event a couple of weeks later, an Art on the Move and Community Arts Network WA touring photography exhibition, Voices of the Wheatbelt, at the Dunnart Studio Gallery in Ravensthorpe. This was a great lead up to the compilation of our own community Calendar, made in collaboration with the Ravensthorpe Community Resource Centre and celebrating volunteers across our broad community. No sooner had this exhibition ended and been packed off in crates than the RRAC Coordinator was packing her own bags and heading up to Fremantle for the Country Arts WA Regional Exchange; two days jam-packed with networking and discussions on common regional arts issues with other representatives from all over the state. Flak, true stories from the men who flew in WWII and performed by Michael Veitch at the Hopetoun Hall, was the next event before Get Hypnotised, a hilarious night out at the Ravensthorpe Town Hall thanks to Hypnotists Matthew Hale and the volunteers who took to the stage! The next event was also at the Ravensthorpe Hall, a pantomime of Harry Potter and the Great Rip Off, which starred local school children in the Hogwarts Choir. In between all these events RRAC volunteers were also busy organising Homespun crochet circles, Pink Thread Portraits workshops and that Community Calendar was ticking along nicely. The Pink Thread Portraits and Community Calendar both culminated in a fantastic performance of Calendar Girls by the touring Jally Entertainment. Over $1400 was raised by the RRAC and participating locals for the Leukaemia Foundation WA…and an excellent night was had by all! After the Calendar Girls performance in May things appeared to go a bit quiet, but we were madly completing funding acquittals and the CAWA mid-year report…as well as applying for more funding for more shows to follow and assistance for the RRAC committee to attend the Regional Arts Australia Arts and Edges Summit in Kalgoorlie in October. Meanwhile people were busy welding away in two weekend workshops with Animal Engineering or in their own sheds at home to make 17 more spectacular sculptures to include in the Farm Gate Art Trail. As well as this our two local dancers, Beck and Clare, were busy participating in further professional development with our Wheel of Fortunes choreographer Aimee Smith whilst planning a program of holiday dance workshops for children which culminated in a fabulous performance at the end of the holidays. The girls also put together a gorgeous performance at the Wildflower Show Gala Dinner and an unexpected Flash Mob that surprised the guests (and some of the participants who still can’t quite believe they did it!). In July it was back up to the Ravensthorpe Hall for a hilarious afternoon with Jens Altheimer performing his award winning children's show Squaring the Wheel. Hmmmm anyone else's kids still shouting "easier" when fronted with a problem???? BIG was the next major event for the RRAC and it certainly proved to be a showstopper! 12 BIG canvases were painted by 12 talented local artists and displayed in the Ravensthorpe Town Hall during the Wildflower Show and then auctioned off at the end to the highest bidder. Dust of Uruzgan proved to be the highlight of the year for many who attended this unforgettably unique and touching performance by Fred Smith out at the Jerdy Hall. Again we had barely finalised that project and we were on the road to Kalgoorlie with hundreds of Homespun flowers and a big shoe to meet up with over 550 other delegates, politicians and major stakeholders in the Arts from across Australia. It was an awe-inspiring four days as you would have read from previous published articles by the attending RRAC delegates. And now, (inhale/exhale) with no more events rf projects scheduled for 2014 it is time to take stock of the year that was; complete the end of year reports and develop the 2015 program. So far we have some exciting ideas in the pipelines…a visit by 3 Fringeworld acts will kick start events on February 8 at the Ravensthorpe Town Hall, after the AGM to be held earlier on January 31st at Sue‘s house out at Blue Vista (see the ad in this issue for more details). Although as yet we are unable to confirm dates and venues we can say that we will be presenting 3 quality touring Shows On The Go from Country Arts WA. B2M (Bathurst to Melville) will have you dancing in the aisles, Gym and Tonic will have you giggling in your spandex (sweatbands optional) and The Lost WW1 Diary by Damian Callinan will follow up on themes from previous events such as the Lyn Dale workshops in 2013, and Flak and Dust of Uruzgan earlier this year. RRAC will also be hosting an exhibition and workshops by Denmark artist Christina Harrison on the themes of art and maths in September, which we are hoping will be well attended by school groups. 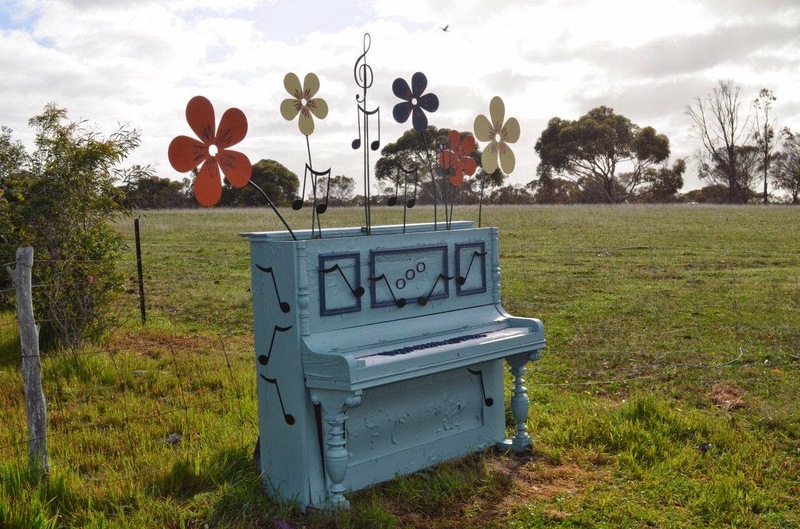 As well as the touring shows the RRAC are busy planning a wearable art extravaganza along with the Ravensthorpe District Art Group and the Wildflower Show Committee. Keep an eye out for some colourful new community members with our “15 Frames of Fame” project (yes, it is as crazy as it sounds…we’ve let Ainsley AKA Angelinarainbowfamily, loose) and some more of those popular welding workshops will be occurring in a slightly different format to recent years. RRAC will also be assisting the Hopetoun Dance Group to bring a dance instructor down weekly for lessons with children in Hopetoun and the Ravensthorpe District Art Group to again run some workshops for those wishing to participate in the wearable art project. Ravensthorpe Regional Arts Council would like to acknowledge the support received from the Shire of Ravensthorpe, Country Arts WA and the Department for Culture and the Arts. The BIG Exhibition, accompanied by artwork from students at Ravensthorpe DHS. Calendar Girls cabaret style with Pink Threads Portraits Exhibition. Expectant audience at Get Hypnotised. Di Belli and Fay Obrien with Michael Veitch at Flak. Farm Gate Art by Helen Taylor. Crochet Circle at The Chair. 24 hour Dance Marathon at the Regional Arts Australia Arts and Edges Summit. Squaring the Wheel children's physical theatre workshop. 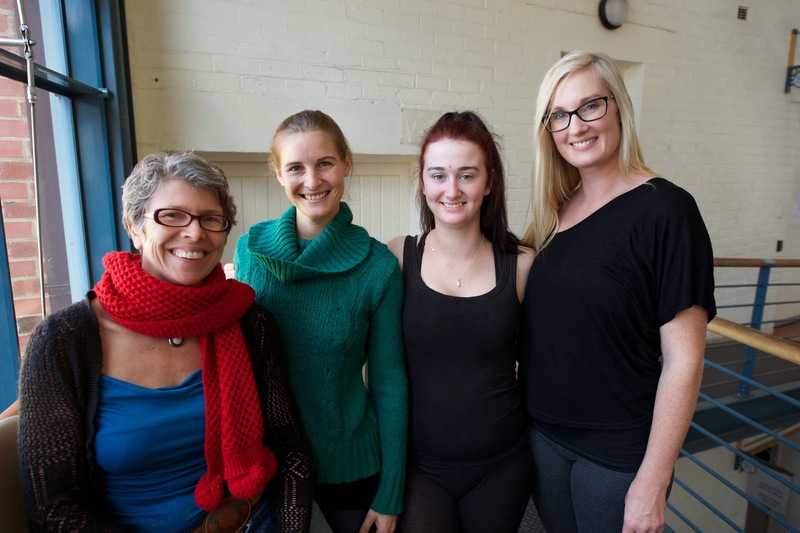 Jo Smith from Ausdance WA, choreographer Aimee Smith, Clare Doolan and Rebecca Hillier. Tigers Hockey team at a Pink Threads Portraits workshop. Glen Stoddart's entry for the Community Calendar. Ravensthorpe DHS students at the Voices of the Wheatbelt exhibition. The group of amateur botanists with which I was travelling in Western Australia in September arrived in Ravensthorpe late one afternoon, and your group was kind enough to keep your wildflower exhibition open so that we could see it. We enjoyed it very much, and some of the exhibits helped us to identify species we had seen in the neighbourhood earlier in the day. 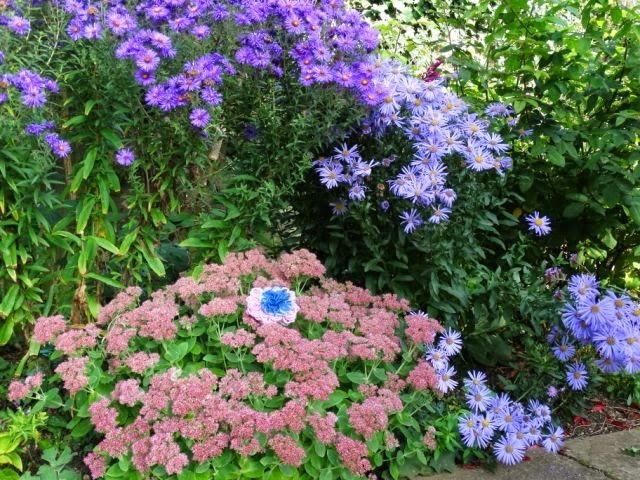 I took away one of your woollen flowers, and thought you would like to see where it ended up - in my garden in Oxford, England, which was still looking very summery at the end of September. One of your members may remember me, as we talked about the fact that we both came originally from Herefordshire. I hope you felt your wildflower show to be overall as successful as it seemed to us. Chance and Chaos lead to Excellence! An RAA Summit article by Madeleine Norman. That was certainly the case in Kalgoorlie over the four day Regional Arts Australia summit 16-19 October. Chaos, albeit organised, was due to the weather, and excellence was the outcome of the conference. Brian Ritchie, who put Tasmania on the contemporary music map, and Lindy Hume who moves and shakes things at Q Opera in Queensland, were two of the keynote speakers whom I was privileged to hear during the Arts and Edges forum. Both speakers were, to quote Lindy Hume, excellent (she thought the word was not used often enough when referrring to the regional as opposed to the metropolitan art scene). Brian Ritchie was also encouraging with his motto to do the best you can with what you’ve got, and harness the forces of chance and chaos. A motto which certainly applies to our own Ravensthorpe Regional Arts Council. 550 delegates from all over the country congregated on the Goldfields city, in 39° heat, to network and find answers to questions dealing with the arts. I was one of those delegates. Wearing at least 3 distinct community group ‘hats’ I was looking forward to discover new or different ways to do things. The summit was a mixture of keynote speakers, panels using experts, performances, displays of projects and hands-on activities based on Noongar culture. The panels I attended dealt a lot with funding and re-energising small towns through the arts; topics with wide application for our district. The keyword throughout was ‘engage’. Engage the young ones. Engage the wider population. Engage local governments. Even engage artists. Regional Australia faces challenges, one panel informed us, due to climate change (apparently) and depopulation. Both of these phenomena lead to change which can be confronting, but also opens up opportunities for communities to exploit and thrive. Engaging (here’s that word again!) more deeply with the arts was one solution mooted for successful adaptation, survival and growth. A common theme in many of the sessions I attended was the fact that sports receives a lot of attention, sponsorship, funding and acknowledgement in comparison with arts and culture. Here is a challenge for regional Australia: to mesh the two together and incorporate sports into arts and culture, or the other way around! How could this be done in our community? It was also confirmed by another panel that engaging (again, yes!) in the arts has well documented health benefits. Much research underpins this assertion and more should be made of this fact to attract funding, just like the sporting sector, which uses the health angle to great advantage. Funding is not the only issue, however, people in the wider community need to realise that art is everywhere: you listen to music? – It’s art. You read a book? – As well. Art should not have to be viewed as synonymous with highbrow performances and ‘scary’. Another panel suggested to leave the word ‘ART’ out of titles and projects altogether to ensure larger audience appeal. But, the conference was not only about serious discussions. One of the highlights for me was the performance of A Gala Night with the Duchess, excellently (!) presented by the Boulder Repertory Club in the beautiful Boulder Town Hall. This play was originally written for the Goldfields about a 100 years ago, and yet never performed there. Another highlight was the Kalgoorlie Belly Dancers, a group of ladies, appropriately dressed in high viz vests and hard hats, who gyrated and grooved to some great music. I had no idea that some of our muscles could be induced to move so! In closing, I would like to acknowledge and thank Country Arts WA and Jerdacuttup Community Association whose sponsorships enabled me to attend the summit in Kalgoorlie. It was a thought provoking and fun four days; the benefits to our community should be excellent!